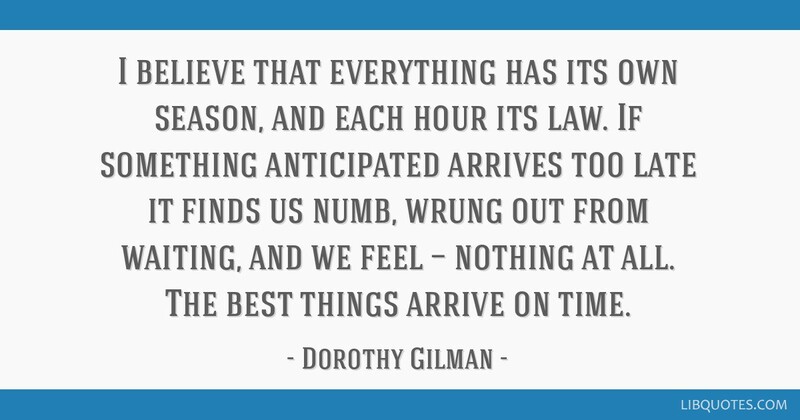 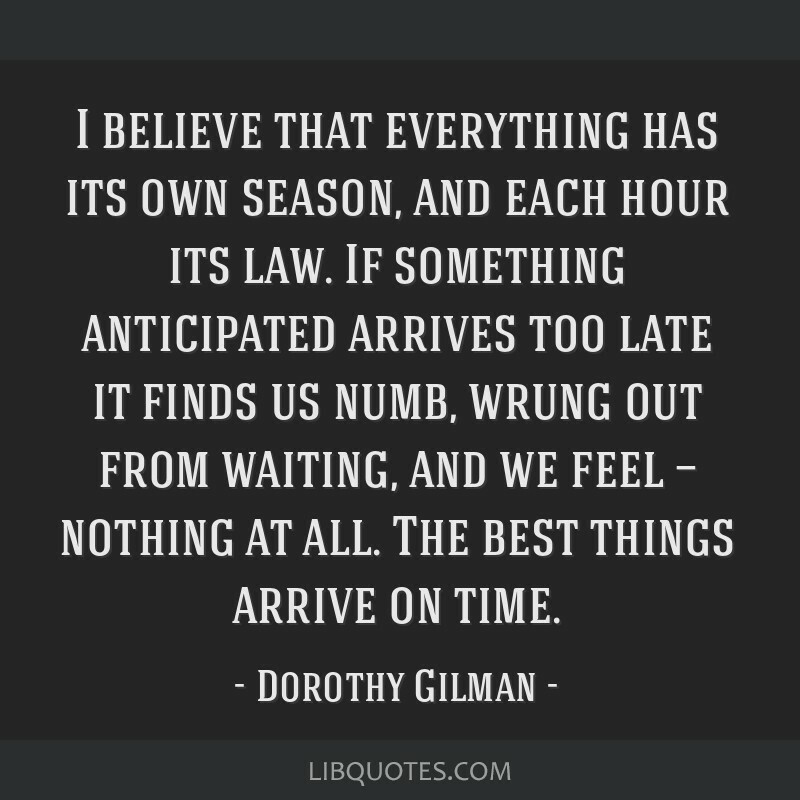 I believe that everything has its own season, and each hour its law. 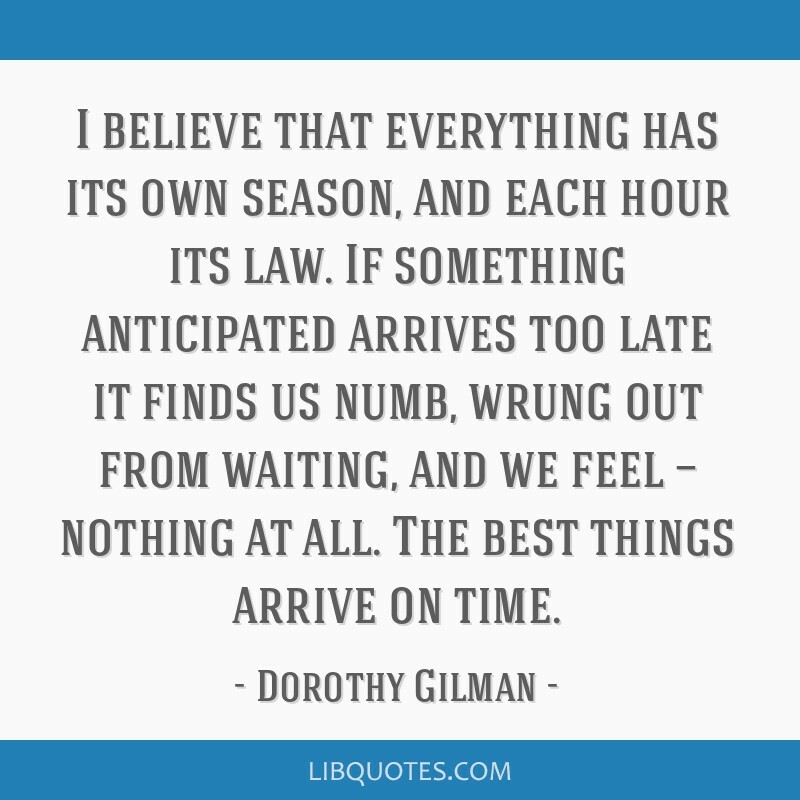 If something anticipated arrives too late it finds us numb, wrung out from waiting, and we feel — nothing at all. 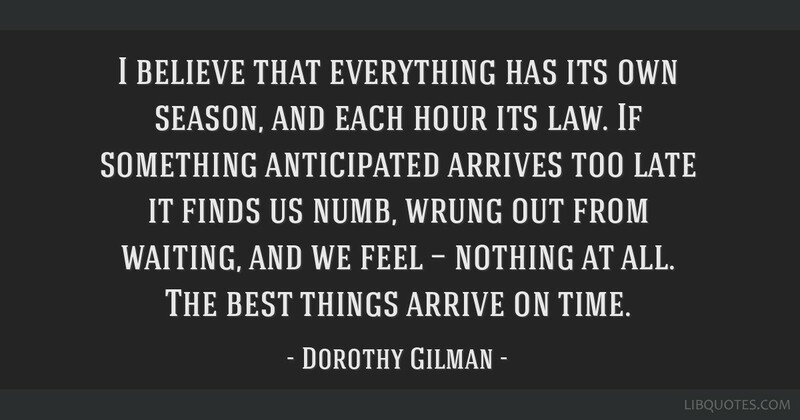 The best things arrive on time.